Let the experts at Universal Wire & Plexi design your next snack and treat display. 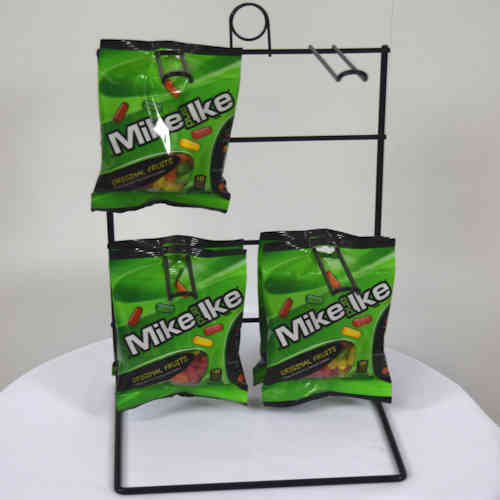 Go for the more traditional approach with wire hangers or a more modern look using our wide assortment of plastics. Wire racks available in a wide range of powder coat or vinyl dipped colors. Acrylic and Plexi displays are available in a wide range of colors and materials to suit your every need. Wire racks are made with top quality American made steel, spot welded for durability. Acrylic and Plexi displays have improved wash down and sanitization benefits over wire displays. All our products are made in the heart of Southern California and are proudly made in the USA.